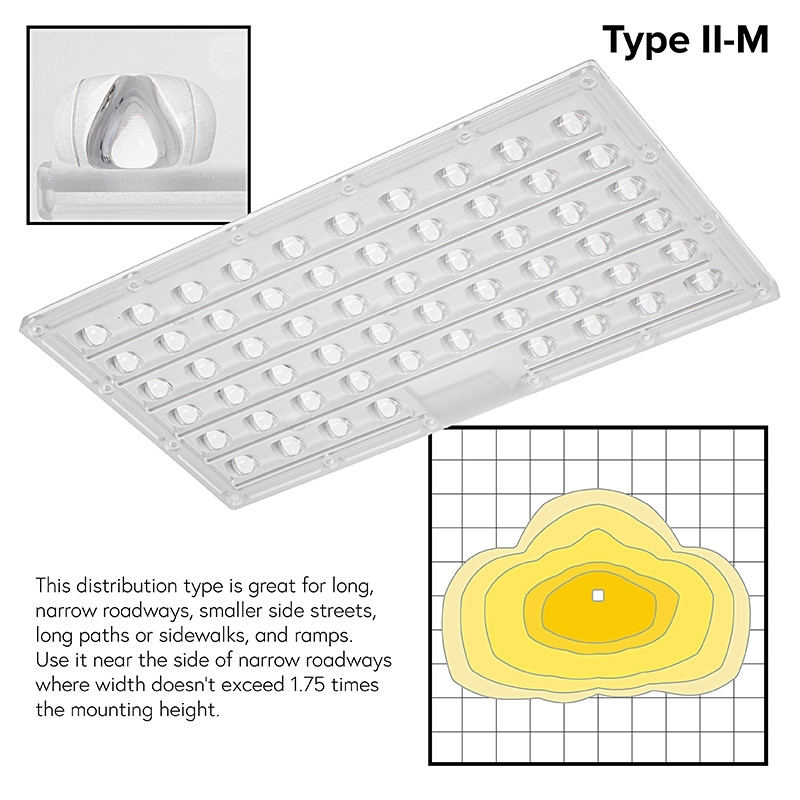 This distribution type is great for long, narrow roadways, smaller side streets, long paths or sidewalks, and ramps. 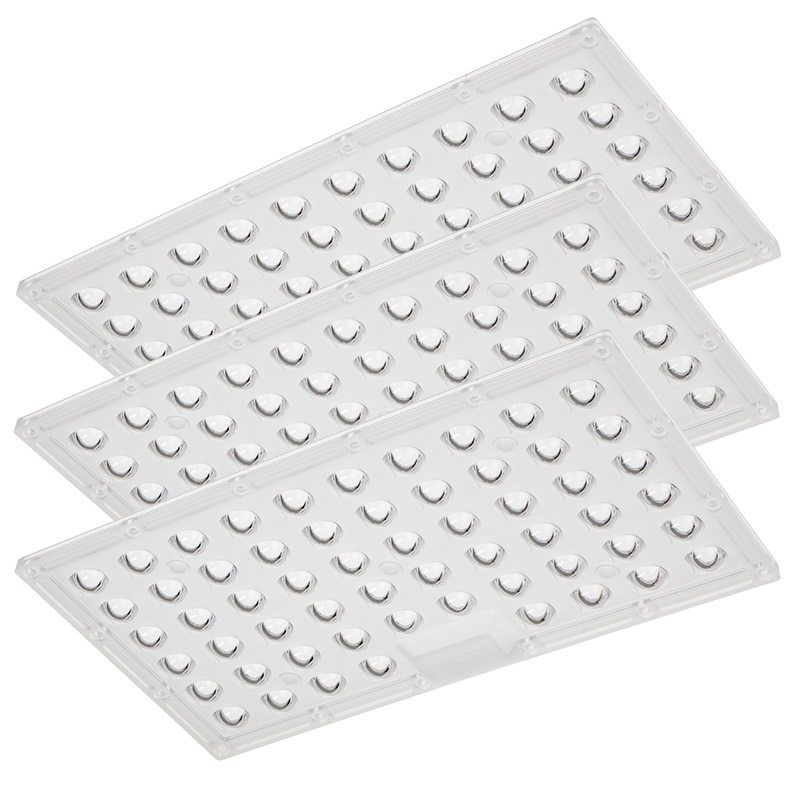 Use it near the side of narrow roadways where width doesn't exceed 1.75 times the mounting height. This lens can be used for roadways and small parking areas. 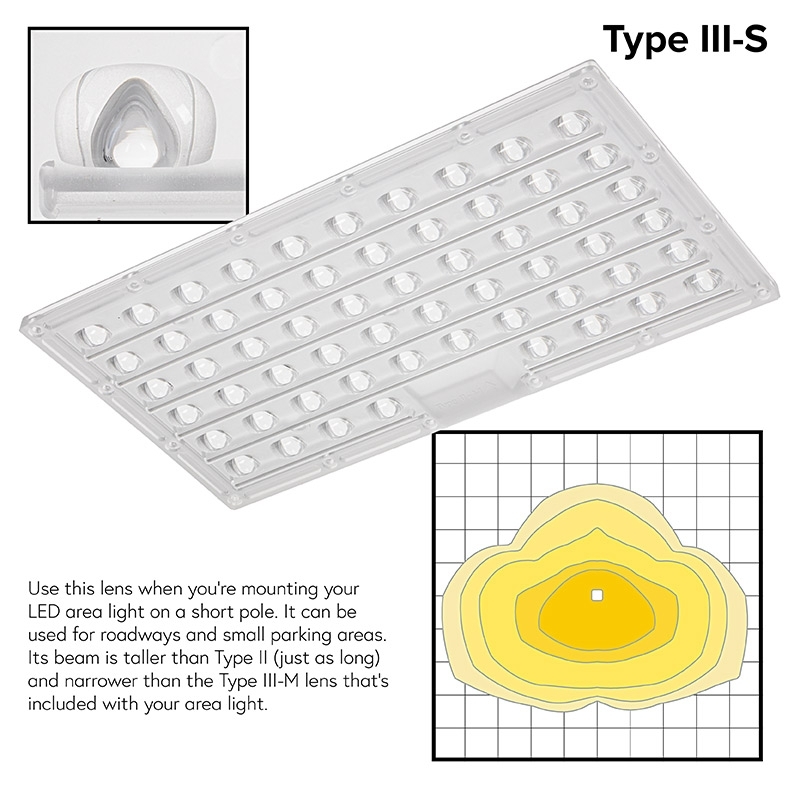 Its beam is taller than Type II (just as long) and narrower than the Type III-M lens that's included with your area light. 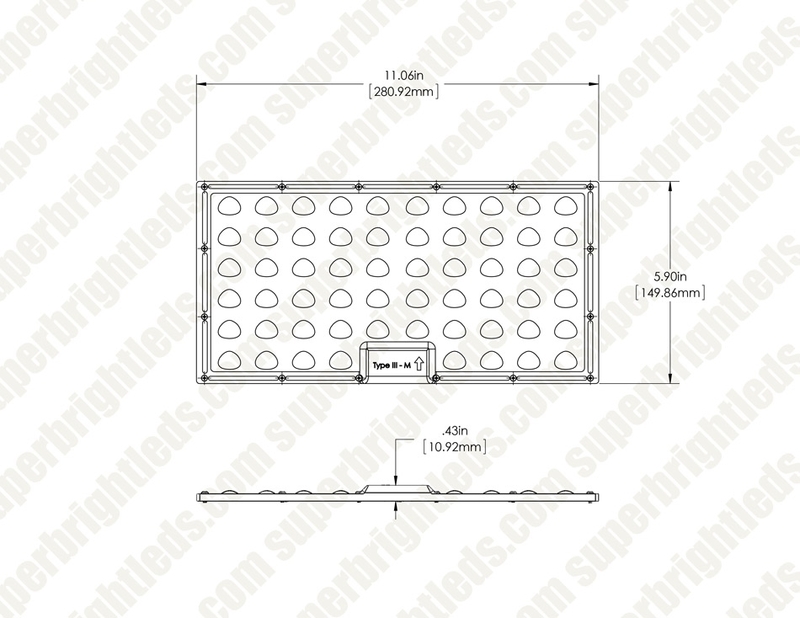 When using this lens, the light's maximum light intensity point will be 1-2.25 times the mounting height. 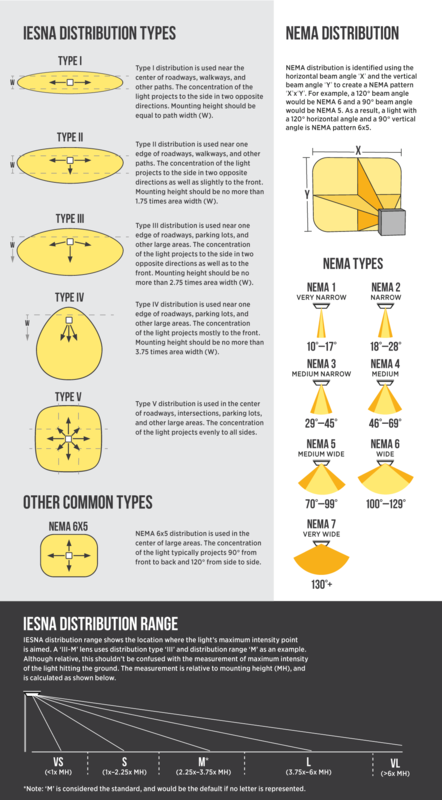 Area lights with this distribution type are often mounted on the sides of buildings and on the perimeter of parking areas. It's also great for basketball, tennis, and volleyball courts. Roadway width shouldn't exceed 3.7 times the mounting height. 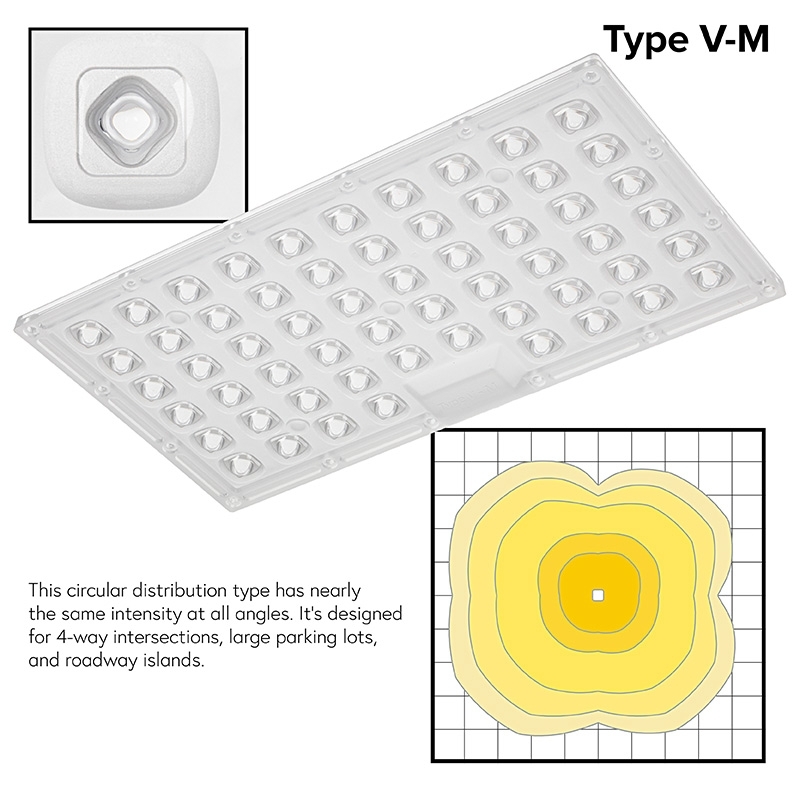 This circular distribution type has nearly the same intensity at all angles. 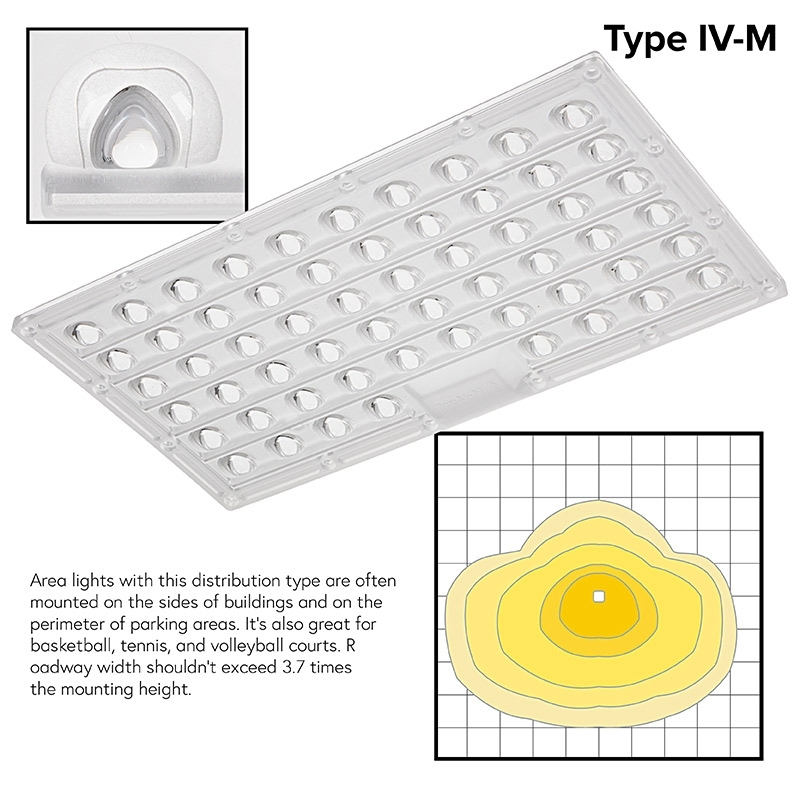 It's designed for 4-way intersections, large parking lots, and roadway islands. 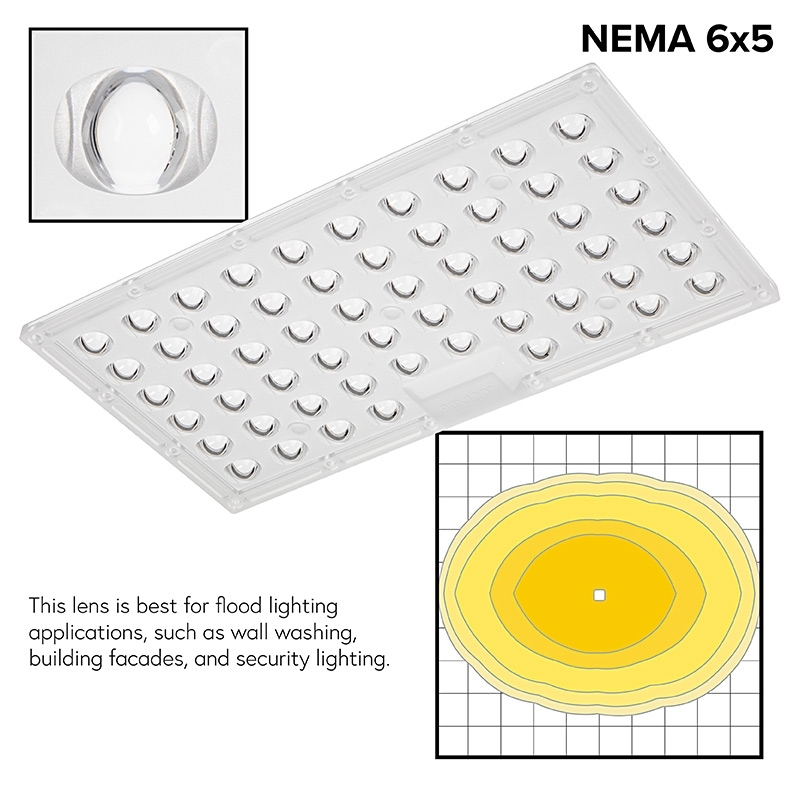 This lens is best for flood lighting applications, such as wall washing, building facades, and security lighting.